Cross River State governor, Prof Ben Ayade, yesterday, authorised the payment of 2014 gratuity to retired civil servants in the state, even as he donated N50 million to the Nigeria Labour Congress, NLC and Trade Union Congress, TUC, for the completion of Labour House. The governor, who was accompanied by his deputy, Prof Ivara Esu, members of the state executive council as well as officers and members of the state NLC and TUC, gave the directive shortly after inspecting the NLC secretariat, which is under construction. 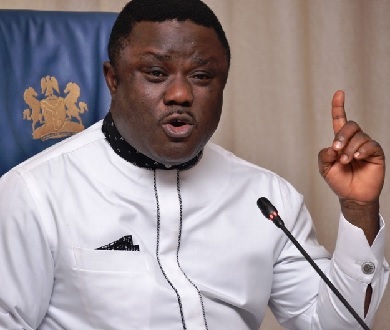 The post Ayade orders payment of 2014 gratuity appeared first on Vanguard News.